Just as honeybees face considerable obstacles here in the U.S., bee populations all over the world, even those that are somewhat isolated by the sheer luck of geography, are facing threats to their survival. On the small European island country of Malta, which lays less than 100 miles south of the island of Sicily, their own native honeybee species, the Maltese black honeybee, faced extensive decline to the point that Maltese officials worried about losing the bee altogether. Further support was required to halt the Maltese honeybee’s seemingly “inevitable” decline, according to a conservation non-governmental organization (NGO). Darryl Grech, who is the administrator for the Breeds of Origin Conservancy, stated that with the bee’s conservation seriously threatened, forward action was immediately taken. 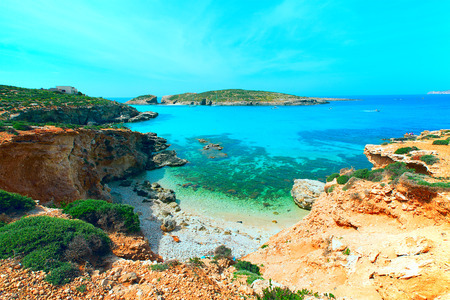 Per Grech, a study took place on Comino for two weeks earlier in the year for collecting information regarding the endangered honeybees, also involving the set-up of various mating hives around the island. Grech also stated that Maltese honeybees were being supplanted by other bee species, thereby endangering the smaller populations of Maltese bees remaining. The NGO administrator also noted that Malta’s small size made finding appropriately isolated mating sites for the bees difficult. The fact honeybee colonies can be so easily imported represents a mutual threat shared by all native bee populations, given the fact they are close, small genetic populations. Making matters direr is Maltese honeybees having a poor standing among a good number of beekeepers, which Grech said is partially based on inadequate knowledge as well as poor selection and management. These bad opinions may be based on an “old bad reputation” regarding the bees having high swarming tendencies and a lot of aggression. Breeds of Origin Conservancy is also part of a combined data-collecting project on Maltese honeybees between Germany’s Hessen Bee Institute and the University of Malta. As well, the Maltese Beekeepers Association, collaborating with Breeds of Origin Conservancy and the University of Malta, is managing a breeding program under the Smartbees project, which is notably supported by the European Union. This program involves studying bees in order to better comprehend their temperament, honey production, swarming tendencies, and varroa mite resistance. Grech even when so far as to describe it as a vast step forward in the sustainable use and conservation of Maltese honeybees.